Because aging interferes with your skins ability to hold moisture, moisturizing your skin becomes increasingly important as you grow older. Hormone therapy and various medications can have the side effect of drying out the skin and leaving it sensitive and itchy. Studies provide strong evidence that certain vitamins can protect the body cells and tissues form damage caused by natural body processes such as aging and environmental stresses like harsh weather, sun damage and pollution. In turn, other vitamins can provide the proper environment for the correction of such damage. Of particular interest are Vitamins A & E. These vitamins are called anti-oxidants and the protection they provide is a plus for aging skin. Cabot Skin Care products can help you pamper and care for your aging skin with gentle cleansers, anti-oxidant protection and a variety of moisturizers and treatment products designed to help repair and restore. 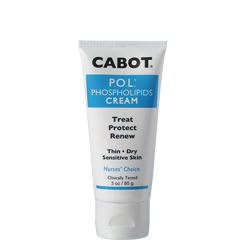 If your skin is sensitive and itchy, Cabot Oat Protein products with hydrolyzed oat protein are a good choice. Use gentle cleansers on your face and body. Moisturize daily with creams and lotions that contain anti-oxidants to help repair damaged skin and reduce the visible signs of aging. Cabot P.O.L. Cream and P.O.L. Lotion have been discovered to be very effective in reducing the visible signs of aging on the face, hands and body. 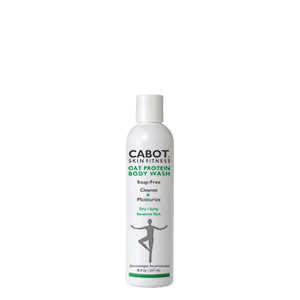 Cabot Oat Protein products provide the best relief for itchy or irritated skin.